It's 5min walk from Shinjuku station. 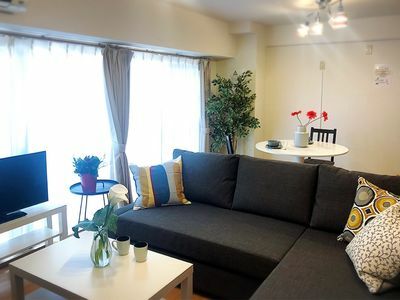 Easy access from the airport, Shibuya, Shinagawa, Ginza and Asakusa.The apartment is located in just 5 mins walk from Shinjuku station. 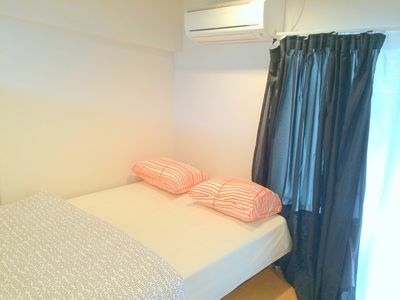 It is very convenient and good access to any where in Tokyo. There are 24h convenience stores near this apartment. FREE PORTABLE Wi-FiYou can take it with you during your stay. ENTIRE APARTMENTThis apartment is an "ENTIRE APARTMENT". It isn't the share room. You will be the ONLY GUESTS when you stay. Everything is for you. *EARLY ARRIVAL:The apartment has no storage area outside of the apartment for luggage. Please let us know and we will try to organize for you to drop your luggage after 12pm. CHECK-OUT: 10am. We are sorry but we can't keep your luggage after check out time.You can store it in a coin-locker at any train stations. You have full access to the apartment.Nothing is shared in the apartment. f you need anything, please let me know. I will help you ASAP. I'll send the guidance of the way to the apartment with photos after I receive your reservation. #22near Namba/3min fm subway sta.